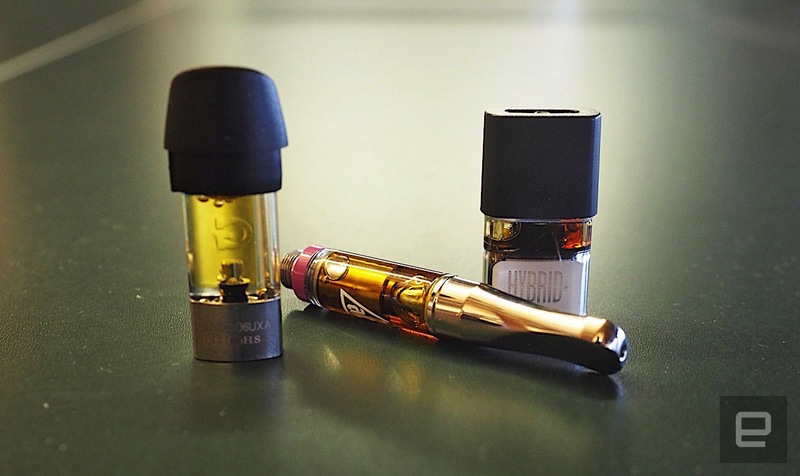 Preloaded cartridges of cannabis concentrate are among the most popular means of consumption, and for good reason. They're discreet to use and easy to handle, a far cry from the dark days of 2016 when we had to dribble hash oil or load wax into narrow-mouthed vape pens by hand. But, frustratingly, an ever-increasing number of oil cartridge manufacturers employ one-off design standards so that their products won't work with those of their competitors, thereby locking customers into proprietary ecosystems. We've already seen this with nicotine vaporizers -- which have a seen a massive rise in "pod systems" in the last few years, each outfitted with a unique canister and battery built to be incompatible with those of their competition. Is it too late for the burgeoning cannabis industry to set a universal standard for their product designs? This, unfortunately, is not a unique occurrence. Companies have long sought to retain customers by ensuring that what they buy only works with what the company sells. Just look at Apple's "walled garden" filled with patented charging and data ports that won't work with other brands' devices. Luckily, the personal-computer industry is mature and ubiquitous enough to have already sorted that issue through the implementation of standardization practices. That is, whether you're using a Chromebook or a MacBook, you can rest assured that your USB plug is going to work with both. What's more, as of August 2016, the Federal Drug Administration has classified e-cigarettes (technically, "electronic nicotine delivery systems" or ENDS) as drug-delivery devices, subjecting them to the rules of the Food, Drug and Cosmetic Act. The FDCA regulates aspects like the ingredients that can be used and various product features, as well as health risks associated with their use and how they're marketed. Cannabis vaporizers suffer from few such regulatory impediments because cannabis itself is still a Schedule 1 drug and illegal at the federal level. That's not to say cannabis vapes are completely lacking in standardized components. 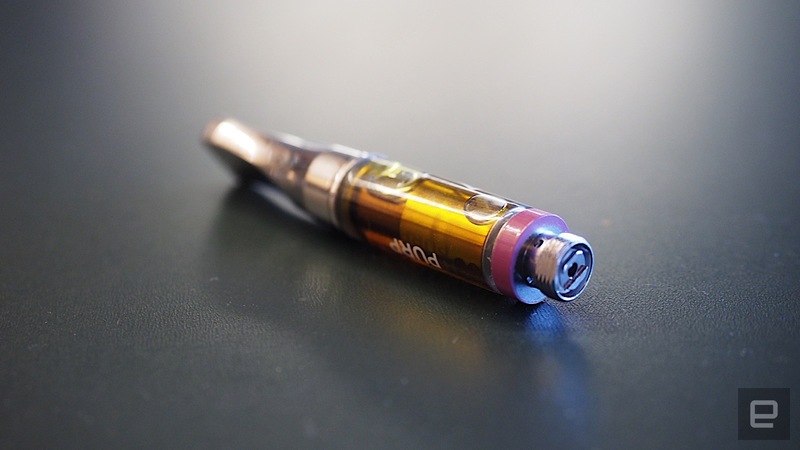 Many vape models, especially smaller pen-style vapes like the Bloom Farms Highlighter, use 510 thread for connecting the atomizer (the bit with the oil in it) to the battery housing -- the same connection used in nonproprietary e-cigarettes. However, just because two parts fit together doesn't guarantee that they'll work properly. Bloom Farm's atomizers "will fit with any 510 thread, but we recommend using ours so the voltage is correct for the cartridge," a Bloom Farms rep told Engadget. "This will save you from burning your oil." Often, those parts won't even fit together to begin with. Take the Pax Era or the Grenco G Pen Gio, for example. These popular cannabis vapes do away with 510 threading altogether in favor of a simple drop-in cartridge. But you're out of luck if you've got a Gio and your local dispensary only has Era pods in stock. Unsurprisingly, some people in the industry think the move toward more proprietary designs may not be a bad thing, Chris Folkerts, Founder and CEO of Grenco Science, tells Engadget. When the original GPen was released, it used a cylindrical atomizer because "everything was really being borrowed from the e-cig industry," he said. "So really, people were just using what was available." "One of the branding pinnacles that I think we were able to achieve was that everyone was calling it a GPen in the early stages -- like a Q-tip," he continued. However, that strong brand association had its pitfalls as well. "We saw a lot of people were kind of disappointed with what was coming out [of China and being associated with GPen]," Folkerts explained. 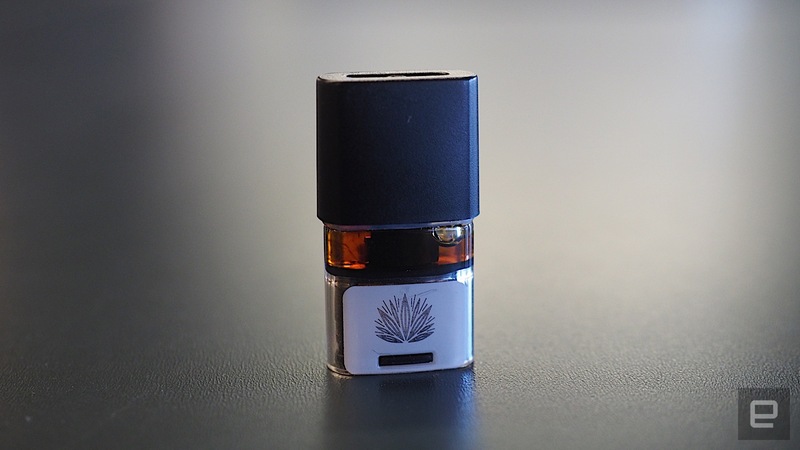 By designing a vape not based on the 510 standard, the company was able to generate a unique product that looked nothing like the rest of the cylindrical vapes available in the market at that time. What's more, the novel design enabled Grenco to focus on the atomizer and battery technologies inside the pens themselves. "510 has been the industry standard, and what you're starting to see is that people are seeking other shapes and designs because they're either tired or looking for something new," he said. "Most people will, if they have a product that they like -- whether it be a pair of headphones or anything that is technology-based -- once it becomes something of a daily driver, the natural thing is to go and purchase another one" if their current unit gets lost or breaks. So not only does using a proprietary design help manufacturers differentiate themselves in an increasingly crowded market, the right design can help lock in users to the brand's ecosystem. Similarly, through the use of partnerships with oil manufacturers, vape companies can offer strains and third-party brands exclusively on their device. Think of PS4 exclusives like God of War, but for weed. "Going away from standardization is another way to protect your IP," Folkerts said. That's not to say that the 510 standard is going the way of the dodo anytime soon, even though devices relying on it have historically suffered from a number of design issues -- from leaky canisters to connection problems between the atomizer and the battery unit. Like the original USB standard, 510-style vapes were revolutionary when they first hit the market, but times have changed and it's now necessary for the technology to do the same. The trend toward Era-style pods rather than cylindrical canisters could face the same challenges that the 510 standard faces. "There is a point where there's an oversaturation," Folkets said. "And, just like the 510, the reason that people are trying to go and make other things is an oversaturation." "I just came back from China last night," he continued. 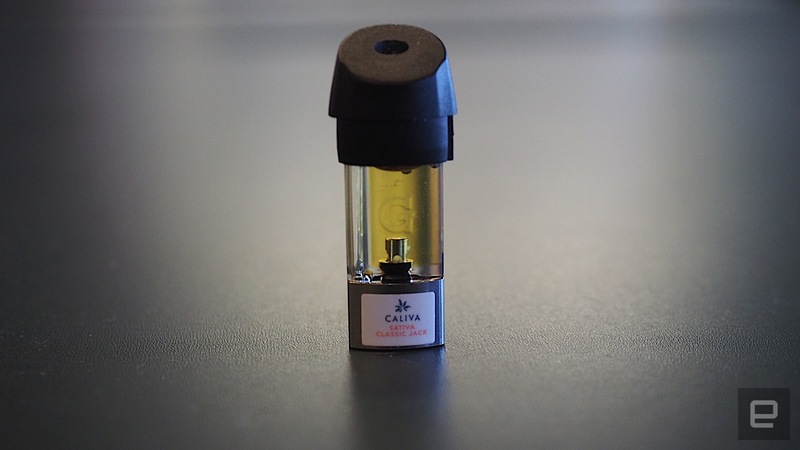 "I sat with my factory reps and they said, 'We want to make a CBD cartridge.' They don't know why they want to make it, they just want to make it because everyone else is making it. And so, unfortunately, in China, now when people start to see that there's traction on a product, that's where they start to knock everything off or they start to create their own version of it." This results in an arms race between companies looking to stand out from the rest of the market and off-brand manufacturers trying to piggyback off of the latest and most popular designs. "You're going to start seeing pockets of producers taking on proprietary systems of their own," Folkerts concluded. "And I think you're going to continue to see fragmentation of the market in that regard."